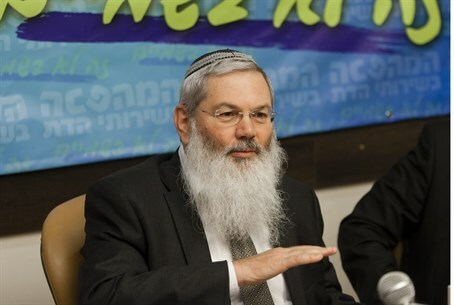 Deputy Religions Minister, Rabbi Eliyahu Ben Dahan, voiced his disappointment with the failure of religious Zionist candidates to be elected to the posts of chief rabbis Wednesday. Rabbi Ben Dahan is a member of the religious Zionist party, Bayit Yehudi. Bayit Yehudi Chairman, Naftali Bennett, congratulated Rabbi David Lau and Yitzhak Yosef for their victories Wednesday. Deputy Minister of Transport, religious Zionist Tzipi Hotovely (Likud), said that the religious Zionist stream “once again missed the opportunity to put in place a Zionist chief rabbi." “I regret that the campaign of harsh mudlinging against Rabbi David Stav – Chairman of the Tzohar Rabbis, who has indisputably shown wonderful public Torah work – came from within religious Zionism itself,” she accused.